No complains. Cal-6 + Mg is a great product. Fast service. 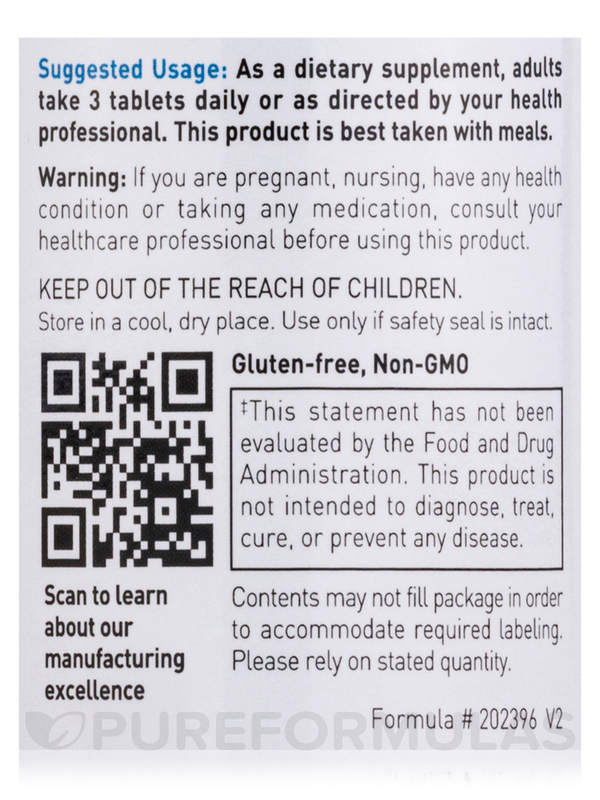 We have used Cal-6 + Mg by Douglas Laboratories for many years and will not change. It's helping with osteoporosis. I feel more relaxed, I sleep better and my hair and nails are stronger after taking Cal-6 + Mg by Douglas Laboratories. If you are a woman over the age of 50 and in menopause‚ your health practitioner has probably emphasized the importance of protecting yourself against bone loss. Throughout your younger years‚ your bones regenerated themselves; unfortunately‚ they become less able to do so as both men and women age. For menopausal women‚ lower levels of estrogen further inhibit the rate of bone growth. When your body loses more bone than is replaced by calcium intake‚ your bones can become brittle. Brittle bones increase your risk of fractures and other injury. In the elderly‚ fractures in the hip and spine can have especially serious effects. The best defense against the loss of bone mass is to ensure that you provide your bones with the essential nutrients they require throughout your lifetime. Calcium‚ magnesium‚ phosphorus‚ and vitamin D are essential for healthy bones. Magnesium is vital for converting vitamin D into a form that is easily absorbed and most useful for your body. Vitamin D acts like a hormone essential for the absorption of calcium from your die‚ as well as building bones. Calcium‚ magnesium and vitamin D act in harmony to keep bones healthy and strong. A deficiency in any of those nutrients can lead to problems with bone density and strength. A diet rich them will go a long way towards protecting your bones. Since you may not get adequate amounts of these substances in your food‚ doctors often recommend taking a dietary supplement. 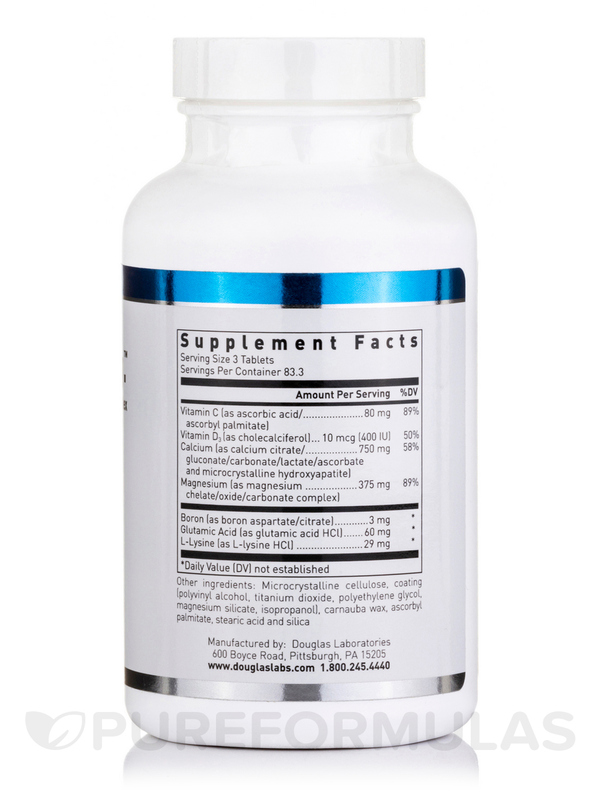 Dogulas Laboratories’ Cal-6 + Mg tablets provide all three vitamins and minerals. In conjunction with regular weight-bearing exercise (such as walking or strength training)‚ this supplement can help to keep your bones strong as you age. Each bottle of Cal-6 + Mg by Douglas Labs contains 250 tablets‚ which is enough to last for up to 2 months‚ depending on your dosage. Other Ingredients: Microcrystalline cellulose‚ croscarmellose sodium‚ carnauba wax‚ ascorbyl palmitate‚ stearic acid‚ silica‚ coating (polyvinyl alcohol‚ titanium dioxide‚ polyethylene glycol‚ magnesium silicate). 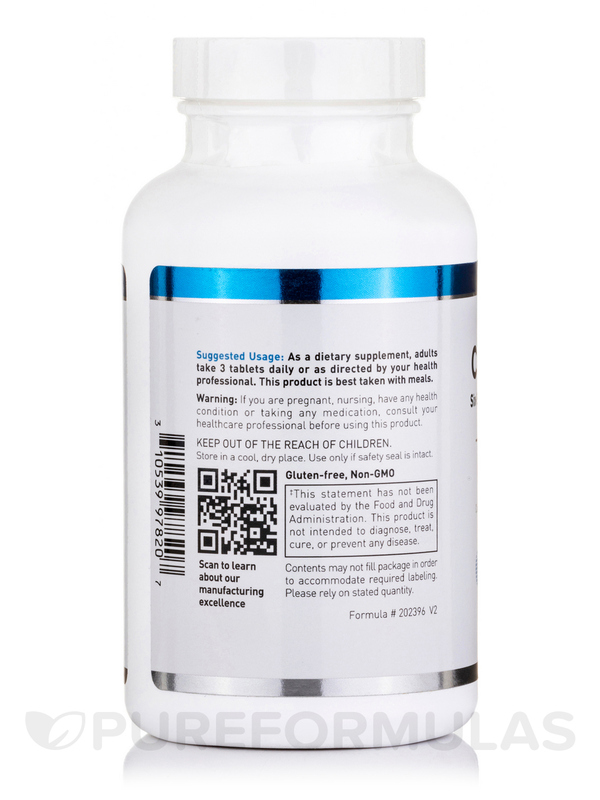 As a dietary supplement‚ adults take 3 tablets daily or as directed by your healthcare professional. This product is best taken with meals. If you are pregnant‚ nursing‚ have any health condition o taking any medication‚ consult your healthcare professional before using this product. I was diagnosed with Severe Osteoporosis several years ago. My ND recommended I take Cal-6+Mg by Douglas Laboratories and thank God I did because I no longer have Severe Osteo and I feel stronger. I used to fall down a lot due to weak bones, but now I can walk without falling down. Douglas Laboratories is a high quality product no fillers so no worries! 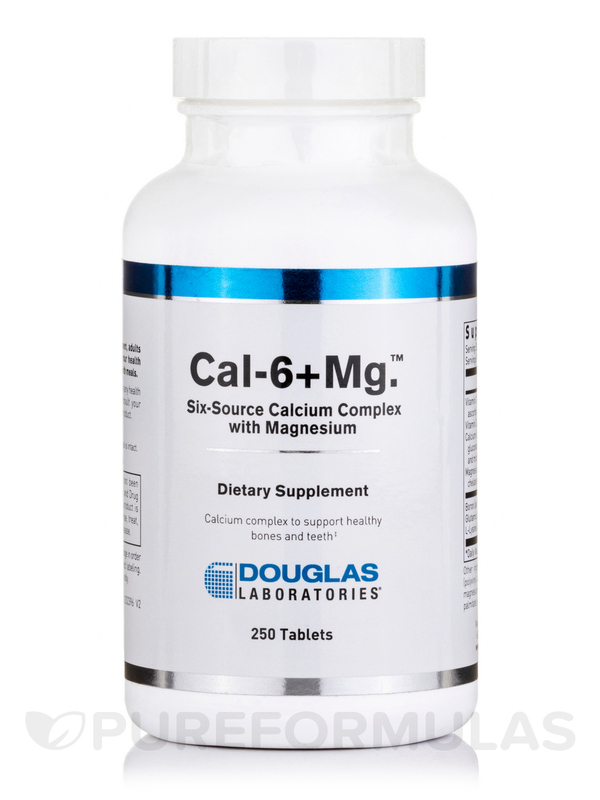 I take three of these Cal-6 + Mg by Douglas Laboratories daily along with another calcium. The combination is great and absorbs well. My naturopath/chiropractor recommended it to me. It contains no gluten, dairy, artificial coloring, preservatives or flavoring. The serving size is three pills. Cal-6 + Mg by Douglas Laboratories is a good product recommended by my doctor. I always manage to wait till l am very low on product but Pure Formulas gets it to me fast. Easy on stomach and easy to swallow. This was recommended to me by a Dr. Of Naturopathy (N.D.) to replace a drugstore version I previously used. This product is free from allergens and provides better absorption. I am using it for a few years now and I feel a real positive difference. 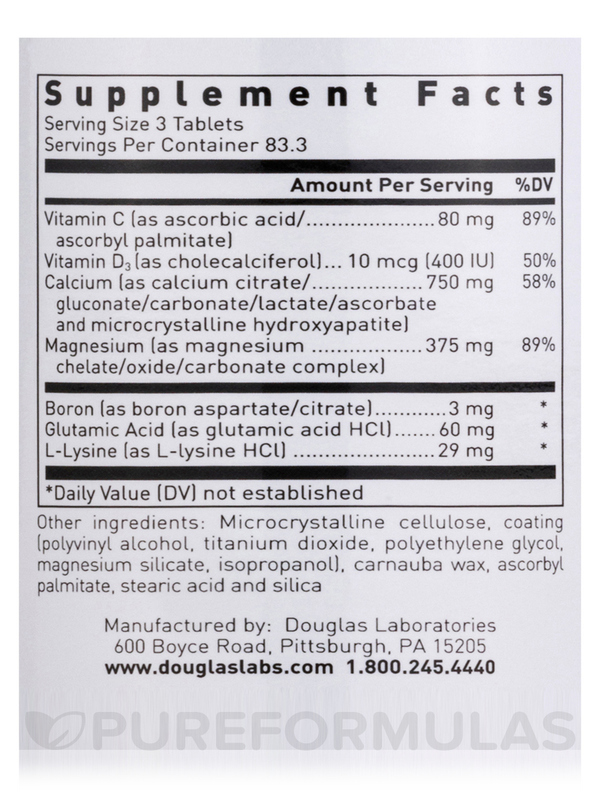 The Cal-6 + Mg tablets by Douglas Laboratories are easy to swallow. I recommend this product. The Cal-6 + Mg tablets are easy to swallow but I suspect that they are not easily broken down in the stomach - the outer coating is so strong.